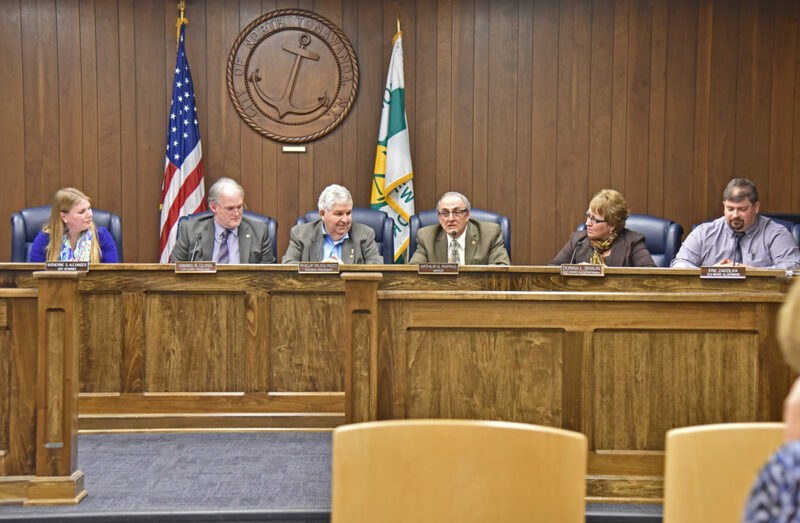 North Tonawanda City Judge William R. Lewis recently reached the mandatory retirement age of 70, prompting a series of advancements for the legal team below him. Associate Judge Shawn Nickerson was elevated to the senior judge position while City Attorney Katherine Alexander, who was elected to that position in November, was named associate judge by Mayor Arthur Pappas on Monday at the city’s reorganization meeting. 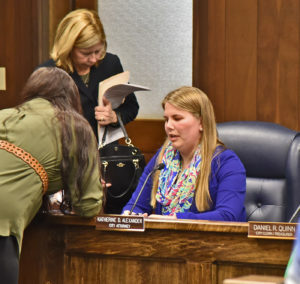 North Tonawanda City Attorney Katherine Alexander was appointed Associate City Attorney at Monday’s reorganizational meeting. Pappas said it was important to maintain continuity in the city’s legal affairs. “I’m one of the last people to leave city hall each day but rarely am I ever the last one,” he said. Pappas said Alexander’s work ethic is an example to others. He also said this was only the second time a woman was named city judge. During the 1950s Catherine Lautz served a four-year term as city judge. “We’re making history again,” Pappas said. “To preside over the court, it’s a real privilege,” Alexander said. And while Alexander noted she was just elected as city attorney, being a city judge would be an even better way to protect the interests of the city and its residents. “I’ll stop talking before I start crying,” she said. The acting city attorney will be former Assistant City Attorney Luke Brown and will be in the position until the council appoints a new city attorney, according to Peter Drossos, the mayor’s administrative assistant. The city attorney that’s appointed will then have to run in the next elections in November, he said. 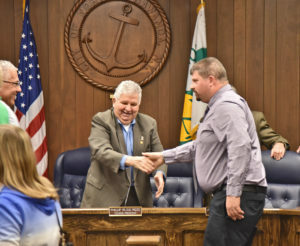 In other moves, council president Russ Rizzo, who’s been recovering from brain cancer and announced his retirement last year, nominated 3rd Ward councilman Eric Zadzilka to be the next council president. Robert Pecoraro seconded the nomination and it passed unanimously. Several on the council referred to the “big shoes” Zadzilka would need to fill in becoming council president. Outgoing president Russ Rizzo shakes hands with new council president Eric Zadzilka. The problem with the Mayor’s appointment of Alexander is that he is making bad history. Giving it to an unqualified woman OR man is wrong. Taking an important position like judge and giving it to someone, just because she is already is in city hall, is ridiculous to say the least. One who is clearly unqualified. Pappas is confusing effort with qualifications and results. Barely 5 years out of law school and no significant legal experience or accomplishments, other than working long hours(? ), this appointment has lowered the bar for the nt court system and the poor public pays. A clear political appointment if there ever was one.